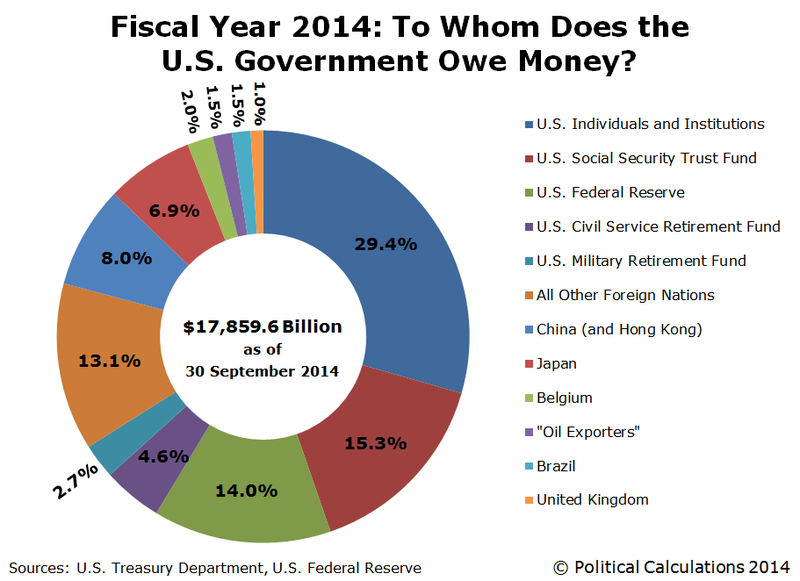 Who were the major holders of debt issued by the U.S. federal government as of the end of its 2014 fiscal year? The data for foreign holdings will be revised over the next six months. We anticipate that the holdings indicated for Belgium will be shifted to other foreign entities, given that nation’s role as an international banking center. Since the end of the U.S. government’s 2013 fiscal year on 30 September 2013, the total public debt outstanding for the U.S. government has increased by $1.086 trillion (or to agree with the units shown on our chart, $1,086 billion). That would mark the sixth time in the past seven years that the national debt of the United States has expanded by more than $1 trillion dollars per year — double the typical half trillion a year increases that were viewed as a major problem prior to Barack Obama’s presidency. The $1.086 trillion increase in the total national debt for Fiscal Year 2014 is all the more remarkable because the U.S. Treasury Department just bragged that the federal government’s budget deficit for FY2014 was $483 billion. Oct 15 (Reuters) – The U.S. budget deficit fell by nearly a third to $483 billion in fiscal 2014, the lowest level since 2008, as a quickening economic recovery boosted tax collections and spending grew only modestly, the Treasury Department said. The deficit, down from $680 billion last year, was the lowest since a $459 billion budget gap in fiscal 2008, which was followed by four straight years of $1 trillion-plus deficits in the wake of the financial crisis. U.S. Treasury Secretary Jack Lew and White House Budget Director Shaun Donovan hailed the data on Wednesday as a “return to fiscal normalcy” as the 2014 deficit fell to 2.8 percent of gross domestic product. That was the lowest since 2007 and a smaller share of the economy than the annual average for the last 40 years. 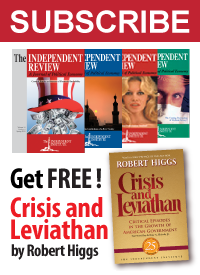 Somehow, the U.S. federal government managed to borrow and spend an additional $603 billion, above and beyond the official budget deficit of $483 billion claimed by the Obama administration, in order to cause the national debt to increase by more than one trillion dollars in one year. Part of the answer lies in the debt-ceiling debate during 2013, which ultimately led to the partial federal government shutdown for the first 17 days of the 2014 fiscal year, from 1 October 2014 through 17 October 2014. Here, U.S. Treasury Secretary Jack Lew artificially kept the U.S.’s total public debt outstanding from increasing above the statutory debt ceiling by shifting around the portion of debt held by U.S. government entities, such as Social Security’s Trust Fund and the U.S. Civil Service Retirement Fund — giving them I.O.U.s as he redirected funds intended for them to instead allow the U.S. Treasury to continue rolling over the debt it owes to the public. The reason the U.S. government had to go through a partial shutdown is because those trust funds didn’t have enough money to keep the shell game going until the debt ceiling was increased. When it finally was, the U.S. government “owed” some $328 billion to “itself”. Which it promptly rushed out to borrow in Fiscal Year 2014. That’s also why the increase in the national debt for FY2013 seems so low. 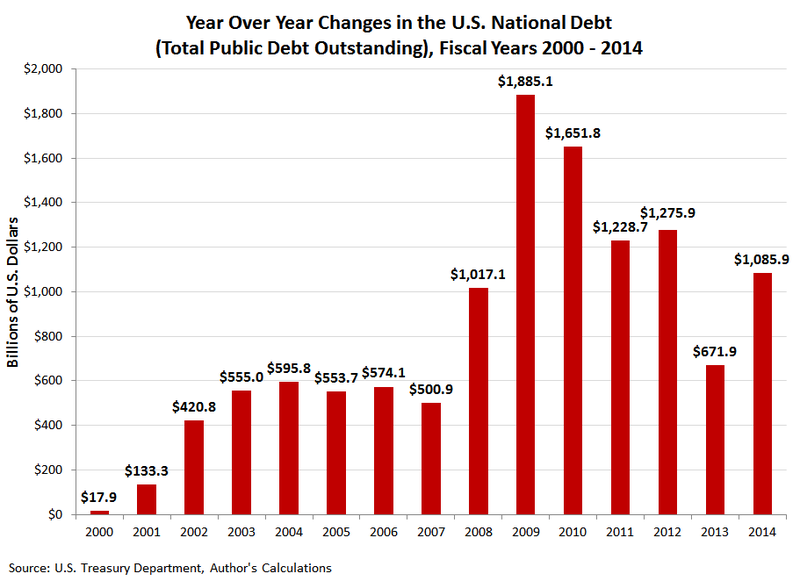 $328 billion of the debt that should have been recorded in that year was actually recorded in FY2014. That means that the U.S. national debt increased by $758 billion in FY2014, $275 billion more than the official amount of the U.S. Treasury’s claimed $483 billion budget deficit. We’re still waiting for the official explanation of that fiscal discrepancy. Federal Reserve Statistical Release. H.4.1. Factors Affecting Reserve Balances. 1 October 2014. [Online Document]. Accessed 17 October 2014. U.S. Treasury. Major Foreign Holders of Treasury Securities. Accessed 17 October 2014. U.S. Treasury. Monthly Treasury Statement of Receipts and Outlays of the United States Government for Fiscal Year 2014 Through September 30, 2014. [PDF Document].